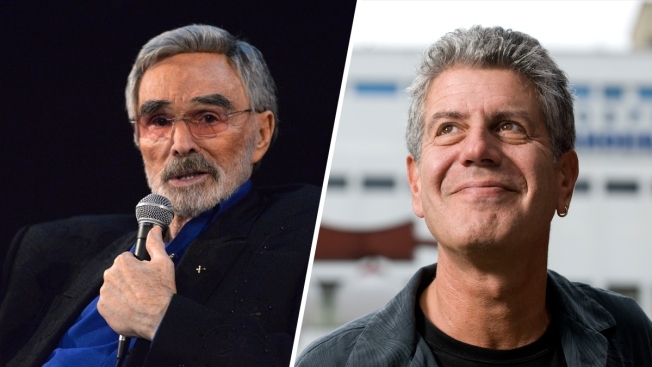 Late actor Burt Reynolds (left) and chef Anthony Bourdain were honored during an "In Memoriam" tribute at the Emmys on Monday, Sept. 17, 2018. The television community lost many beloved artists over the last year. During the 2018 Emmys on Monday, an "In Memoriam" tribute honored stars who've recently passed away. 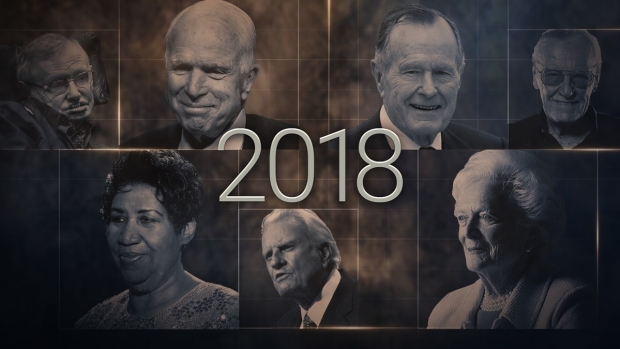 Anthony Bourdain, Burt Reynolds, Aretha Franklin, John McCain, Hugh Hefner and David Cassidy were among those honored during the tribute. It was just weeks ago that Reynolds passed away at the age of 82 after he went into cardiac arrest. Acclaimed chef Bourdain passed away just months ago at the age of 61. CNN confirmed the "Parts Unknown" host's death on June 8, stating that his cause of death was suicide. "Anthony Bourdain: Parts Unknown" has won awards for Outstanding Writing for a Nonfiction Program and Outstanding Informational Series or Special at the 2018 Emmys. The complete Emmys "In Memoriam" tribute is on the award show's website.